Dr. Andrew Weil has long been outspoken about his support for Anti-Inflammatory diets. In particular, he believes an Anti-Inflammatory diet will help us age gracefully, assist those who are dealing with chronic inflammation, and help those who are seeking to lead a healthier lifestyle. I was fortunate enough to have had him as a teacher when I was in nutrition school. And of course I enjoy the fact that the base of his food guide pyramid contains vegetables and fruits! Recently, Dr. Andrew Weil revealed what he believes to be the 5 pillars of good health. After listening to him share his thoughts, I could not agree more and I wanted to provide a quick recap of his amazing advice. Enjoy! 1. Eating Right: As you may have guessed, Dr. Andrew Weil strongly believes in the importance of making healthy decisions, which includes learning about good nutrition and making sure that you are doing your best to choose foods that are good for you (think: vegetables, fruits, whole grains, beans etc.). 2. Physical Activity: It’s important to incorporate a regular exercise routine into your daily schedule. Whether you love running, hiking, biking, yoga, swimming, or other activities, in order to maintain a healthy lifestyle, you must make moving your body a priority. 3. Neutralize stress: I can’t emphasize enough how important it is to practice ways to neutralize stress; stress is very harmful on the body and since there are a variety of ways to deals with stress in a healthy way, it’s best to explore different options and see what works for you. The sooner you can learn to reduce your stress, the better and healthier you will feel. 4. Social Connectivity: I love that Dr. Andrew Weil talks about the importance of staying socially connected. In this technology filled world, we have so many ways that we can keep in touch with our friends and family. What’s even better? I recommend getting in the habit of organizing events with people who lift you up and make you happy; spend quality time with your favorite people and you’ll be doing yourself a huge favor, just by being with people you love. 5. 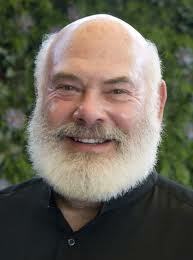 Spiritual Well-Being: In his last and final tip, Dr. Andrew Weil discusses the importance of spiritual well-being. Whether you are part of an organized religion, enjoy meditating, writing poetry, or being in nature, make sure you are devoting enough time to your spiritual practice. Find something that grounds you and keeps you calm and happy. Want to learn more about how you can reduce stress, lose weight, and get clear skin? Schedule a free initial consultation with me today!